The next step to starting businesses online is promoting them. The process of online promotion has in itself become a new business idea across the world. 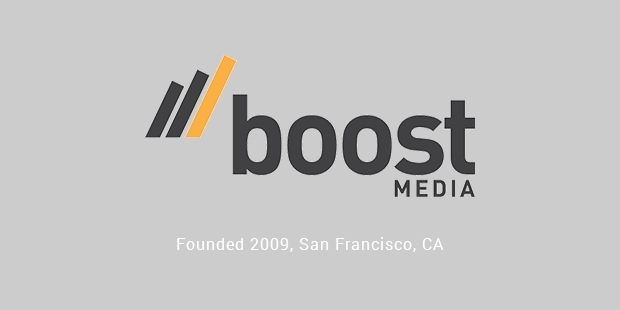 Boost Media is a fast growing online advertisement, outsourcing and crowd sourcing company in Silicon Valley. In a short period of time,this company is going to be public. This is the best time to join one of the best digital advertisement firms of the world. They have some big name backing with financiers like Battery Ventures, Javelin Venture Partners and Metamorphic Ventures. Started four years ago with the goal to revolutionize the digital marketing and empower advertisers, Boost Media surely provides rich and creative advertisement tools. Because of an incredible enhancement in technology in the past few years,the company provides the platform to focus on optimizing keywords and bids. We humans believe in creativity but machines don’t. Boost media has never let their customers down in any way. They have always provided the best in the class digital advertisement, whether it is on Google, Facebook or any other platform on the Internet. They strongly believe that by marrying the best talent and technology available in the market, they can always excel in the work they do and will never let their clients down.By doing this they can achieve something extra ordinary. Boost media has an aim to provide and empower the world with end-to-end solutions for digital marketing or advertising. So far, the company has delivered more than $1 billion in optimized digital ads for distinct brands. With boost media on their side marketers can source, test and optimized ad creative search, social image and mobile. Boost Media also provides other creative strategies for digital marketing and advertisement. By keeping talented, creative people and enhanced technology in the team, Boost Media changed the way digital advertisements are done. Keeping them by their side, any company and brand can make profit because of the ways their methods work. Profits are generated at Boost media because of the combination of human and software run drives and the way they produce relevant advertisement for their clients. Boost’s proprietary software identifies opportunities for optimization and drives performance using a combination of algorithms and workflow tools.